Margaret Stapleton (coloradosrealestate.com) celebrates a decade as a Certified Mountain Area Specialist and discusses wildlife mitigation. 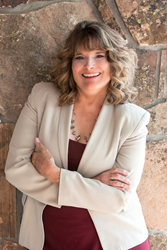 Real estate professional Margaret Stapleton, of RE/MAX Alliance, recently celebrated her 10th year as a Certified Mountain Area Specialist (CMAS). As a CMAS, a designation only offered by the Mountain Metro Association of Realtors, Margaret has taken a minimum of eight continuing credit classes ranging from water rights, septic systems, fracking and land planning/zoning to living with wildlife and wildlife mitigation. Wildfire, adds Margaret, is a natural event that helps forests to thrive, yet many well-meaning, but uninformed organizations, in the past have fought mitigation, thinking of it as a destruction of beautiful forest. Controlled fires and mitigation actually benefit forests. One entity that aims to reduce and/or prevent the destruction of land, property and lives is the Colorado Project Wildfire, in partnership with the Colorado Association of Realtors. The project’s mission is to raise awareness and educate residents throughout Colorado. Margaret Stapleton specializes in relocation, investment and distressed property representation along the Front Range of Colorado, especially in Evergreen, Conifer, and west Jefferson County, Clear Creek County and Park County. Her goal is to help buyers find their dream homes or second homes, investment options, and help sellers discover the best solutions in a constantly changing real estate market. For more information, please call (303) 670-6341, or visit the RE/MAX Alliance office at 30480 Stagecoach Blvd., Evergreen, CO 80439.